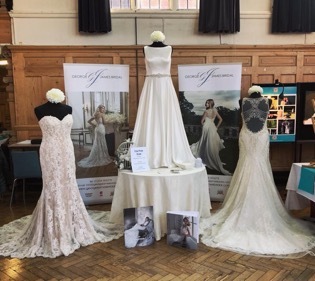 Along with all of these fabulous appointments we have attended a huge variety of wedding fairs at some wonderful venues. The showcases tend to take place mostly at the start of the year and the beginning of Autumn and we and we packed in ten terrific venues along the way. I obviously can’t do a blog without a little mention to each of them so here we go. In date order we attended the following and often provided the catwalk shows which is always a great way for ladies to see some of the stunning shapes and styles in action on the catwalk. First off we had The Grand Hall, Bedford followed by The Bedford Swan Hotel organised by Affintiy Weddings then on to Wyboston Lakes, before the big three day event at The Centre: MK by Central Exhibitions. The Sharnbrook Hotel followed this before heading to The Broadway Hotel in Letchworth, The Priory Centre at St. Neots had a GJ display and then The Rufus Centre in Flitwick. Our pretty in pink pop up show at The Woburn Abbey Sculpture Galley was next on the list before moving back to Bedford for The Woodland Manor fair and the final event in this particular run was a new venue for us and it was the wonderful Woughton House organised by Affinity weddings. 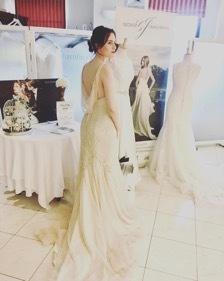 We love attending the wedding fairs as it is the first opportunity to interact with our future brides. After the excitement of a proposal most couples like to venture out and get a feel for different types of venues where they can hold their special day and also to glean a bit of information from suppliers. It is also a great way for us to explain the dress shopping process. Most brides are often surprised with the lead times of the dresses. Once a gown is ordered it will usually take anything between 4-6 months to arrive and then we suggest leaving approximately 2-3 months for alterations. I often get asked how far in advance it is best to start looking and I would usually recommend a year is ideal so as not to put yourself under pressure although we have several brides who order up to two years beforehand and likewise we have some more last minute ladies who we can cater for. 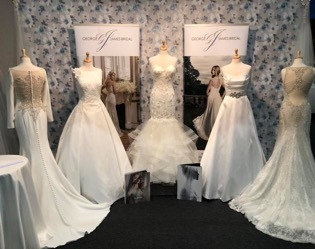 In this scenario the options are a little more limited but we have a superb selection of sample dresses which can be bought off the peg for a discounted price which can be the perfect option for many brides. 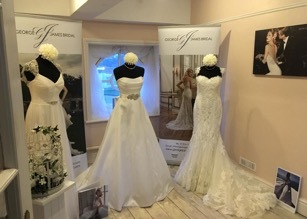 The start of the year is always a special time for us as it brings with it our anniversary and to mark our three year birthday we had a week of special offers for all the lovely ladies finding their dream dresses. 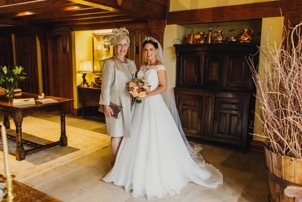 I am pleased to say so many brides found ‘the one’ and it made the celebrations extra special. With every year that passes it gives me a chance to reflect on how proud the team and I are to have helped so many beautiful brides find their dresses. With the new season comes the arrival of the new collections. It is such a fun time for us as it is almost like having Christmas all over again. The big brown boxes arrive and we simply love opening them to see all of the top picks that were previously chosen at the trade shows. We take so much time choosing the gowns when we order them but tend to forget what we have picked as it happens several months prior to receiving them, so when we open them it is even more exciting! We are so honoured to stock some of the leading designers in the country. 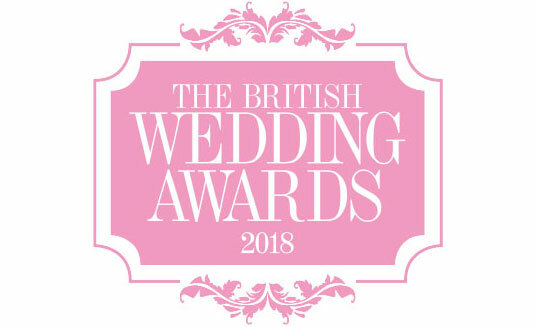 We pride ourselves in stocking top quality wedding dresses for our beautiful brides and 3 of our designers have all just won at The British Wedding Awards. Congratulations to Justin Alexander for winning bridal brand of the year. 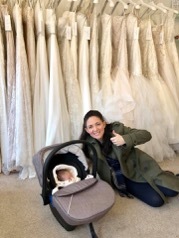 Suzanne Neville for winning Best British Designer and Maggie Sottero for Best Bridal Gown Collection. Finally and for me personally the most important piece of news that I have to share is that I was beyond delighted to give birth to our beautiful daughter Hattie Harris on 21st January 2018. Many of you will have known that I was pregnant and several lovely ladies will have met me when I was bumped up in the boutique. 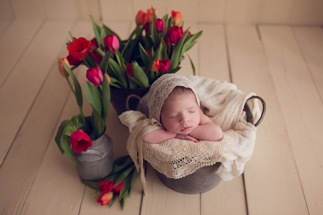 We are totally smitten with our new arrival and I am pleased to say she has already been into the boutique. I must confess she has to up her game as she was sleeping on the job!! Haha! I can’t wait for some of you to meet her in the future and although I have been taking a little bit of time out I will be back in action before you know it. My fabulous assistants (who are also my lovely sisters Samantha and Michelle) have been doing a terrific job in my absence and as all of you know I am only a phone call or message away if you need me. 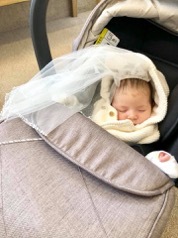 Those of you who have met me know that I find it hard to stay away from GJ headquarters and we even attended our first wedding fair as a family. Hattie was quite distracting but I guess I’ll let her off! 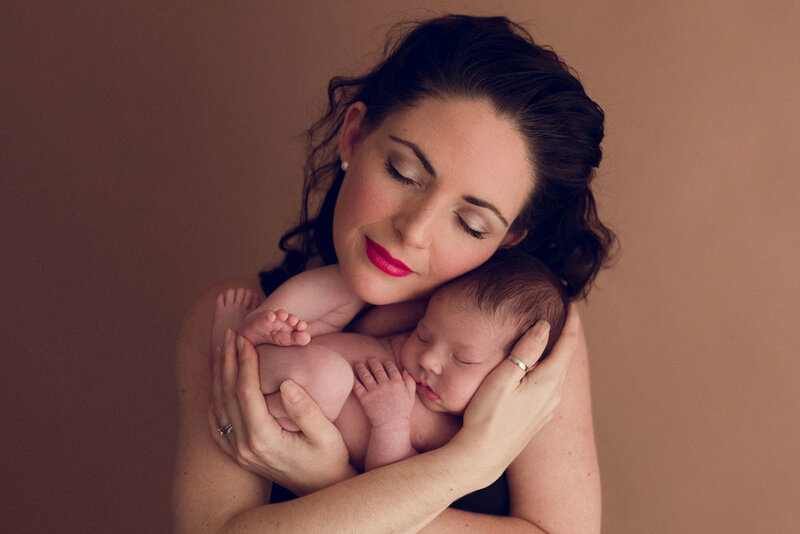 I also got to celebrate my first Mother’s Day which was so special. I am always so appreciative that I get to see so many of my brides with their mother’s or close family relatives in the boutique. The wedding journey is such a special time and sharing it with loved ones is magical and I feel honoured to participate in this intimate and important moment. I know the build up to a wedding can be quite stressful at times but huge piece of advice I would give is to not get too consumed with all of the details and remember that despite all the planning is that you are about to marry the love of your life surrounded by your closest friends and family. Treasure all of these incredible times and with I will love you and leave you until my next post.